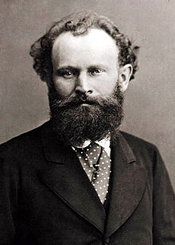 Edouard Manet Art Gallery - The complete Oil Paintings For Art Lovers! Edouard Manet (23 January 1832 – 30 April 1883) was a French painter. He was one of the first 19th-century artists to paint modern life, and a pivotal figure in the transition from Realism to Impressionism.